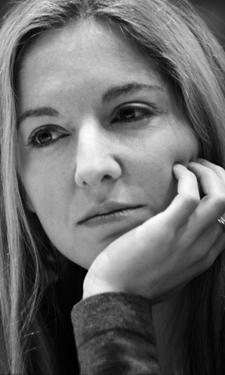 Victoria Coren Mitchell - Blog - Only Connect for Sport Relief! Only Connect for Sport Relief! On Monday March 17th at 8.30pm, there will be a special one-off episode of Only Connect in aid of the BBC’s appeal for Sport Relief. Last year’s Children In Need team captains, Clare Balding and Alice Arnold, will go head to head again - this time with new team mates. Clare will be joined by historian Joshua Levine and crime writer Val McDermid: they are THE TERRIERS. Alice will be joined by cricketer-turned-journalist Ed Smith and writer-producer-presenter Charlie Brooker: they are THE SCRIBBLERS. For Children In Need, Balding was victorious. Can Arnold pull it back for Sport Relief? Find out on BBC Four, Monday night at 8.30. There’s a nice Radio Times preview here. Superb line-up. I can sense the tension building even now… should be great fun. Well, we weren’t disappointed - great quiz and a lot of laughter, too. Please - may we have more ‘specials’ AS WELL AS THE REGULAR OC of course. Tried but not v hard to get your email to congratulate on engagement to DM, because always thought you both splendid, but just finished listening to sage of Cricklewood and now really must tell you how much your dad is missed, and you are a credit to him and have married an egg of the most excellent sort. How satisfying! How about next time having a special edition in which the question setters from OC try and answer questions sent in by the viewers. That preview describes Charlie Brooker as a ‘cuddly national treasure’. It’s not that I’d disagree, it’s just an odd turn of events to see it in the Radio Times.